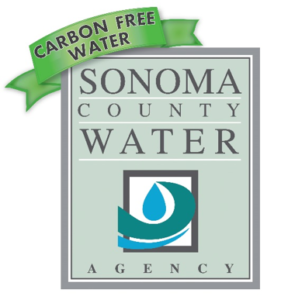 Sonoma Water has achieved a carbon neutral energy supply by procuring 100% of its electricity needs through carbon free and renewable sources of energy. Being the Water Agency has historically been one of the largest energy users county wide and also has a vested interest in the environment in which our watersheds thrive, it is crucial that we mitigate climate change and its environmental impacts. Our energy sources includes a mix power from: solar, hydropower, geothermal, and wind. The Carbon Free Water program is an achievement of both environmental stewardship, and cost effectiveness. The power generation power procurement contracts are competitive prices that lead the energy sector forward toward a more renewable and carbon free energy industry. 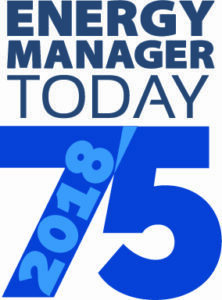 Due to continued efforts by the Sonoma Water’s Carbon Free Water Program, Sonoma Water has more recently received recognition by the 2017 Acterra Awards in the Spare the Air category, as well recognition by the 2018 Energy Manager 75. 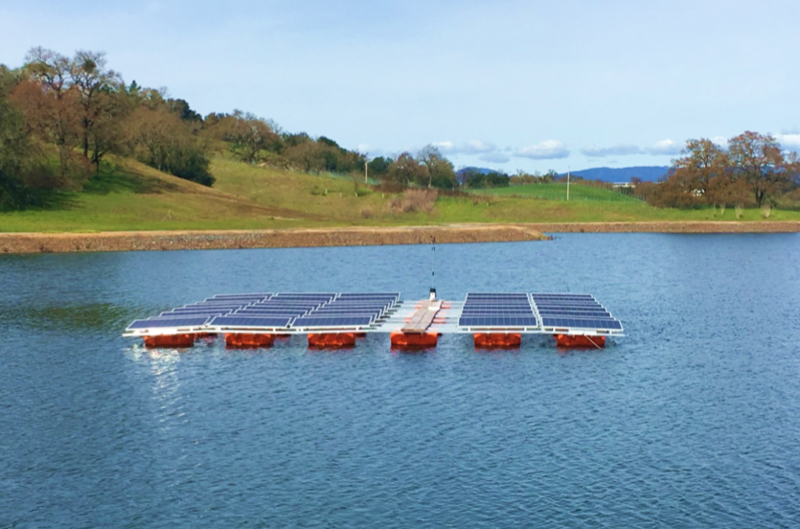 From September 2016 through March 2017, a pilot floating solar photovoltaic (PV) system was deployed on our Oceanview recycled water pond just north of Santa Rosa. This 40 foot by 40 foot floating system supported 40 PV panels. Eight 2-ton piles of rock supported cables attached to the aluminum support structure mounted on 30 polyethylene floats. Cratus Energy monitored the floating PV system movement, flexibility, temperature, cable tension, and other variables during the pilot test. 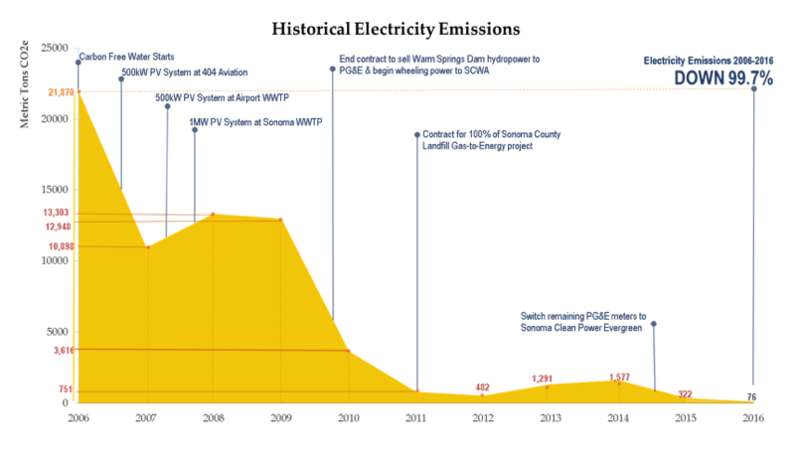 The floating PV system weathered the wettest winter in Sonoma County recorded history without sinking, capsizing, buckling, or taco-ing. Cratus Energy is currently designing a full scale 1 megawatt floating PV system on the Oceanview pond. After appropriate permits and approvals are in place, the Water Agency would ultimately purchase the power produced from the Oceanview floating PV system to cost effectively offset power consumed at the Oceanview recycled water pump station and 49 other Water Agency power accounts. Sonoma Water annually submits a greenhouse gas (GHG) inventory to The Climate Registry. As a government entity, it is imperative that the Water Agency be transparent with the public. The Climate Registry and a qualified third party verification entity separately overlook and verify that our emissions are calculated and documented correctly using the most up to date emission calculation methodologies and emission factors. Our most recent year of emissions verified was the 2016 Inventory. The Water Agency is currently in the process of reporting their 2017 GHG inventory and is submitted for third party verification in June of 2018. Once this annual process is completed and third party verified, a power content report is then created to demonstrate where our power resources are coming from, and how we can improve upon our current power portfolio both economically and with minimal impact on the environment. Our most up to date Energy Mix is represented in the pie graph as shown above. Without the development of GHG Inventories and Power Content Reports, the Water Agency would not be able to strategically lower their carbon footprint from energy use by over 20,000 metric tons of carbon dioxide (equivalent). 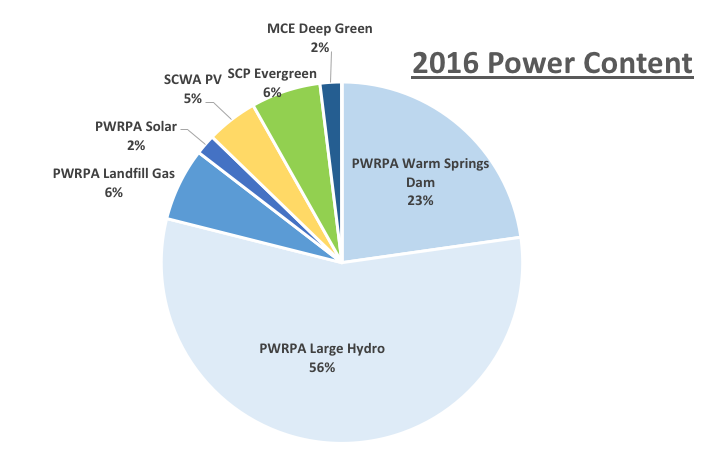 The Water Agency has lowered their energy related carbon footprint by over 99% (see figure below) –an accomplishment that was both environmentally ethical and economically practical.